Every business depends on outside help. Sometimes that help is directly related to the products or services that business offers. Any company that is selling a product definitely needs manufacturers to make the product and distributors to get that product onto store shelves. The larger the company, the greater the chance that a lot of that work will be done in-house. There also support services such as telecommunications and IT technology that provide data and networking support for company. Finally, there are all of those outside vendors that help make the actual workspace productive. You can now add to that list Junk King Fort Worth. These are the expert junk haulers who can help you get rid of all kinds of unwanted office furniture and equipment. That can make a big difference around your office! Junk King Fort Worth is part of a national franchise professional junk haulers who have been in this line of work since 2005. In that time, they perfected a business model that they are able to transfer to any Metropolitan area that needs this type of service. In other words, every city can use a Junk King! The Junk King way of handling business is for them to do all the work. All you have to do is decide what you want taken away. Junk King will figure out the best course of action for that removal. It might take just a pair of movers and their truck or it could require several crews and trucks. You have to trust Junk King to know exactly what it will take to load up all the things you want to get rid of. Around the office that can mean a lot of desks, chairs, cubicle walls and shelves. It can also mean outdated equipment such as desktop computers, printers, fax machines, copiers and monitors. Removing these kinds of items from your office can open up a lot more storage and workspace. What do you need to get rid of? Junk King also offers a fast turnaround. If you call to set up your appointment today and are flexible, then you might be able to have a same day pickup. Typically, most appointments are completed by the next day. Once you’ve made the decision to have your office furniture removal taken care of you won’t be waiting long when Junk King Fort Worth is on the job. This entry was posted in Fort Worth Junk Removal and tagged Junk King, junk removal, Office furniture on March 31, 2019 by Junk King. Last updated March 31, 2019 . As the executor of an estate, you will be needing the services of a lot of professionals. That begins with the lawyer who will assign you that status and help you assess all the property and possessions that are part of the estate. The second person you could get to help you is an appraiser who specializes in estate sales. This is someone who can set up that sale to swiftly sell off all the items you are not going to keep. Finally, you’ll want to hire Junk King Fort Worth to complete the process. These the professional junk haulers that can take care of your estate cleanup from start to finish. Junk King has a simple operating philosophy: they do all the work. You may feel guilty about asking the Junk King team to move heavy furniture up from the basement home. They might also be some things that are a bit grimy. Neither one of those issues will be a problem for the team from Junk King. There used to hauling all kinds of objects from homes, apartments, storage units, businesses and even restaurants. Whatever you ask them to remove will be something they’ve already removed dozens of times over. Hiring Junk King means your back will never be at risk! It should also make you feel good hiring Junk King knowing that their pricing policy is a very fair approach to this kind of work. They don’t charge by the pound. Most junk haulers do that because they know they’re going to be charged that at a landfill. Since Junk King avoids going to the landfill and instead makes recycling and charity drop-offs, they won’t get hit with those charges. They are happy to pass the savings on to you. Junk King’s pricing policy is based on how the truck will get packed up. The crew has plenty of experience getting a lot of things into small spaces possible. What you might think will take up the entire truck might only use half the space thanks to Junk King’s expert packing skills. That means you get to pay the low end of the price scale. You’ll know this price before the work begins so there won’t be any surprises at the end of the job. Taking care of in an estate cleanup from start to finish just got a lot easier thanks to Junk King Fort Worth. Book session with them today. This entry was posted in Fort Worth Junk Removal and tagged estate cleanup, Junk King, junk removal on March 25, 2019 by Junk King. Last updated March 25, 2019 . The best approach to spring cleaning is to get the whole family involved. Everyone will have their own “zones” that they’ll have to clean but they can also pitch in on the common areas. There might be a lot of grumbling but if the tasks are distributed evenly, then the work to get done without a lot of procrastinating. It might help to offer up a pizza dinner for reward! As the family goes to the house cleaning up room by room they might discover there are a lot of things that can be tossed out. When that “toss out pile” becomes too big for the trash can it will be time to hire Junk King Fort Worth. These of the junk hauling pros who can provide a big help for your spring cleaning agenda this year. Junk King helps with the big stuff. They’ll send over a team of movers who can swiftly and efficiently remove any piece of furniture from your home. Don’t hesitate asking the Junk King crew to bring up something from a basement or down from the second floor. This is something they do every single day. They’ll also make sure that your walls and floors and up process. There are also items that might need to be dismantled before they can leave the house. That’s true with a lot of IKEA type furniture that has been assembled in a room. The Junk King crews will have the tools needed to take apart those kinds of things and stack up the pieces on the truck. How they stack up the rest of the stuff on the truck will determine how much you’ll be charged for the service. Junk King has a pricing policy that is based on volume. You’ll never be charge by the pound with Junk King. That can make a big difference especially if you are clearing out some construction waste from a backyard remodel project. Although Junk King specializes in removing big stuff, they can also handle a lot of little items, too. All the unwanted clothing from the closets and household goods from the cabinets can be boxed up and turned over to Junk King. When you hire Junk King Fort Worth to help with your spring cleaning you are sure to be left with a home without any rubbish. This entry was posted in Fort Worth Junk Removal and tagged Junk King, junk removal, spring cleaning on February 28, 2019 by Junk King. Last updated March 1, 2019 . When was the last time you broke up with an inanimate object? The simple act of throwing something in the trash is a lot like breaking up with that thing. You saying goodbye to it forever and don’t expect it to come back. Of course, if you are recycling, then there’s a good chance it might come back to you! What about the big rubbish items in your home that you want to get rid of? These could be things that have been stuck inside your house for years. Are you ready to break up with them today? You can if you call up Junk King Fort Worth. That call to Junk King is going to put a plan into action that will have your home cleared of all your unwanted rubbish in a single session. How long that session will last depends on how much of getting rid of. All the junk King asks is that you set aside a two-hour window for your appointment. That has more to do with getting through traffic and the actual work. Once the crew begins, they move very swiftly. The only time they get slowed down is if they are confronted with an object that has to be taken apart first like a swing set or a toolshed. Even with those challenges the crew has a lot of experience so that they can continue to move swiftly to get everything broken up and loaded onto the truck. You may have been holding on to some items for literally a decade but by this time tomorrow it could all be gone with help from Junk King. When the crew shows up for your schedule appointment, you’ll show them all the things you want to get. They’ll be able to provide you with an estimate of the service based on how they plan on packing. Their mission is to get as much as they can into a little space as possible. That will result in you paying the low end of the price scale. Shop around and you’re sure to find Junk King offers the best deal for this type of service. It is easy to break up with your junk. Just give it all to Junk King Fort Worth today. This entry was posted in Fort Worth Junk Removal and tagged junk, Junk King, junk removal on February 24, 2019 by Junk King. Last updated February 24, 2019 . When was the last time you found something in your home that you thought was lost for good? Sometimes little things fall between the cracks sofa and are rediscovered during a thorough cleaning. You might’ve also put something away in a closet or cabinet and forgotten about it until you’re looking for something else. One thing you could be missing that you would have trouble finding is more storage space. However, there is one company that can help in your quest to get more storage space around the house. That would be Junk King Fort Worth. One junk clearing session with these pros can open up an amazing amount of storage. 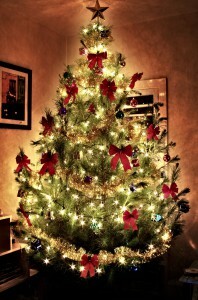 Holiday decorations are something that are kept in storage and used at least once a year. That’s a practical use of storage. How many other things are you keeping in your garage, closets or attic that can make the same claim? Those the kinds of things you want to target for removal. After all, if you have and use them in several months or years, then it’s clear you really don’t need them. This is especially true with what you’re keeping in your closets. When was the last time you went through everything on a hanger or in a box in the closets? That’s to reveal a lot of things you turn over the junk King. And it is not just stuff in boxes that can be cleared out by Junk King but also things like furniture and appliances. Getting rid of those unwanted items can certainly open up a lot more space. Even if you just want to keep that space empty, it will still improve your living environment by not being surrounded by things you don’t want in your home any longer. If you have a day in mind that would like Junk King to make pickup, then is a good chance they can make that happen. Because of the amount of crews worked with Junk King they have very flexible schedules. They often provide same day pickups. Yes, after you finish reading this post you can call Junk King and get your stuff removed in a few hours! Finding more storage space begins with a call to Junk King Fort Worth. They can help you clear out your clutter. This entry was posted in Fort Worth Junk Removal and tagged Junk King, junk removal, storage space on January 31, 2019 by Junk King. Last updated January 31, 2019 . Hoarding can take on many forms. There are some folks who have problems with throwing out anything whether it is garbage or not. Other hoarders tend to “collect” animals. That was the situation that was recently discovered at a San Antonio home but instead of cats or dogs this home was overrun by snakes. It was a two-bedroom home that housed around 100 snakes and over 300 mice meant for those snake’s meals. The city’s Dangerous Area Response Team stepped in to serve notice on the homeowner while the Animal Care Services were tasked with the job of removing the snakes and finding homes for them. Yes, that means there are snakes in need of adoption! Obviously, this is a living situation that had gotten out of hand. Hopefully, the few items of rubbish that you are holding onto around your property won’t be classified as a “hoarder level” situation. Of course, you can avoid that by setting up an appointment with Junk King Fort Worth. These are the junk hauling pros that make cleaning up easy. Many folks who have rubbish around homes have it because there is no practical way for them to get rid of it. It won’t fit in the trash cans and they don’t have a truck big enough to haul away. Is also the issue of carrying some of those heavier items out the house. All of that is taken care of by the Junk King crew. Asking them to haul away a piece of furniture or kitchen appliance will be a challenge for them. You’ll like how quickly they can bring something down from upstairs and load it onto the truck. Your only responsibility in this task is to point all the things that you want to get rid of. It doesn’t get much easier than that! Every item that you turn over to Junk King doesn’t have to be destined for the landfill. In fact, Junk King has maintained a very respectable diversion rate when it comes to keeping things out the dump. You won’t have to make the decision as to whether something needs to be recycled or donated. The Junk King crews will take care of that from start to finish. If you need any cleaning up around your house of bulky and heavy items, then Junk King Fort Worth is the company to call on. This entry was posted in Fort Worth Junk Removal and tagged cleaning up, Fort Worth, Junk King, junk removal on January 23, 2019 by Junk King. Last updated January 23, 2019 . At the stroke of midnight on New Year’s Eve it is safe to say that the holiday season is over. Yes, there is still a day off on New Year’s Day but by then most folks are pretty much over the holidays. Now, the focus is packing up all the decorations and putting them away for another year. This time around you might want to go a little bit further with your post-Christmas cleanup. Instead of stopping with the holiday decoration storage, why not get rid of some of the things you have been eager to remove from the home for the past year? We’re talking about all the unwanted furniture and updated electronic gear that can be tossed out. To help with that kind cleanup you want to bring in the pros of Junk King Fort Worth. It is hard to imagine any Christmas going by without at least one new electronic gadget coming into the home. Often, that item is replacing something that has already been in the home like a television set or a laptop. Those are not the kinds of things that can be simply put out with the trash. Instead, they need to be dropped off at a certified recycling center. This is what Junk King Fort Worth can do on your behalf. But it is not just the electronic waste that they can get recycled; it is everything else. Junk King has working relationships with many charities throughout the Fort Worth area. They know exactly what these organizations are looking for. Just because the holidays are over doesn’t mean the need for things like furniture, clothing and other household goods stops. All those kinds of items that you done with can be put to good use once again. Of course, there is also the practical side of having Junk King help you remove bulky items from the house. Without movers and a truck those things are the end up sticking around. You’ll feel a lot better when you can get rid of those things open up more space around the house. To take your post-Christmas clean up to a whole other level hire Junk King Fort Worth for some intense junk hauling action. This entry was posted in Fort Worth Junk Removal and tagged Junk King, junk removal, post Christmas cleanup on December 31, 2018 by Junk King. Last updated December 31, 2018 . You can pick up on a recurring theme here with these reviews. The team from junk King go above and beyond what is expected and always leave the homeowner totally satisfied. What might seem like a challenge to remove from your home is just a matter of routine the Junk King crew. It’s clear from the reviews that when it comes to a fast and affordable way of getting junk hauled away from a property, Junk King Fort Worth is the only way to go. This entry was posted in Fort Worth Junk Removal and tagged Junk King, junk removal, reviews on December 24, 2018 by Junk King. Last updated December 24, 2018 . 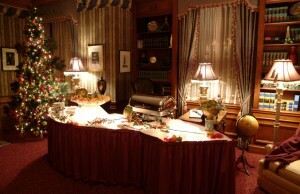 One of the most popular events to host over the holidays is an open house. This is when you literally throw open the doors to your home and invite folks to just drop by within a designated range of hours. It’s very casual and something that everyone looks forward to each year especially if you have consistently hosted this type of party. Obviously, anytime you have company coming over there will need to be some prep and is not just whipping up all the delicious treats you’ll be making for your guests. Before the decorations go up, you’ll want to bring Junk King Fort Worth to make sure all the old rubbish can be hauled away. When a family is part of the open house it becomes a “all hands on deck” approach to getting the place ready. Everyone will have their assignments for what clean. But that doesn’t mean that they can take care of tasks like removing an old piece of furniture or getting rid of some threadbare rugs. That’s the kind of job you want to turn over to Junk King. They’ll provide you with a team of movers and a truck to accomplish these goals. It also helps that the Junk King team will be doing all the heavy lifting. Before you can rearrange furniture, you want to remove the old furniture and that’s where Junk King can be a big help. In addition to all the furniture removal provided by Junk King they can also help clean up the yards. You don’t want all your wonderful holiday decorations to be distracted by piles of old lumber for construction materials. All that can be loaded onto the truck as well. Are you getting the sense that one session with Junk King can transform your home? It’s true! Everything you turn over the Junk King also has an opportunity to be repurposed. That can come through a drop off at a recycling center or a charity thrift store. Hiring Junk King to get rid of your clutter makes them the perfect green partner! Before your holiday open house make sure you bring in Junk King Fort Worth to get rid of the rubbish. Put them to work today. This entry was posted in Fort Worth Junk Removal and tagged holidays, Junk King, junk removal, rubbish on November 30, 2018 by Junk King. Last updated November 30, 2018 . Our Fort Worth – Garage Cleanout services are second to none. One of the first things that you’ll learn when you look into the services is how flexible we are. We have a number of different methods to use so you can clean out your garage and use the space for whatever purpose. Many of our clients rave about our dumpster rentals. One of the things that separate this service from the competition is the reasonable structure we use for pricing. Our dumpsters come in a variety of sizes, one of which is sure to meet your needs. Take a few minutes to check out the customer testimonials that we’ve placed on our website. They are the best way to tell you what our valuable clients think about the Fort Worth – Garage Cleanout services that we offer. One of the focuses that we like to talk about to each and every potential customer is a place called The Hub. That’s where everything that we will take from your garage goes to get sorted — some is recycled and some can be sent to other facilities to be made use of. The idea behind this part our service is is simple. We are all about reducing everyone’s carbon footprint to help save the planet. One of the other things that makes our services special here at Junk King is transparency. We pride ourselves on having honest pricing structures and outstanding customer service. It’s two ways that we put you at the very front. We have several different methods that you can use to book our services. 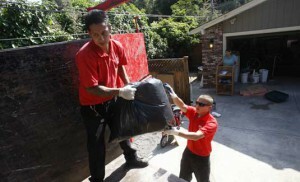 Included is the price guarantee that helps us to be industry leaders in the junk removal business. Convenience is another one of the major factors that makes us special. You can book our services online, call us and even text us a picture of what you’ve got for us to work on.